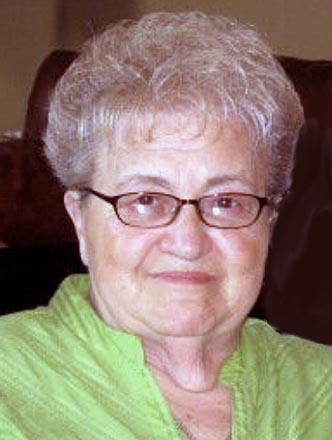 AUSTINTOWN - Jean Yash, 87, peacefully entered eternal life Wednesday morning, March 27, 2019, surrounded by her family. Jean was born Oct. 20, 1931, in Youngstown, a daughter of the late John and Maria Donofrio Galluppi, who immigrated from Italy. She graduated from East High School and worked as a bookkeeper at Feldman Brothers Produce for many years. She was a dedicated member of Holy Trinity and St. Anne Ukrainian Catholic Churches, serving as president of the Senior Sodality of the Blessed Virgin Mary for many years. Jean also volunteered at the parish bingo, kolachi, and school festival projects. At a dance at Berkeley Woods, she met the love of her life, Nicholas Yash, who had recently arrived from Ukraine. They were married on July 18, 1952. Jean took great joy in dancing to polka music and traveling to Europe, Las Vegas, and to Florida many times with her husband. However, her greatest joy was her family. She lovingly cared for her husband when he became ill and helped with caring for her grandsons and great-grandsons. She was always available for them, and attended their special occasions and sporting events with enthusiasm and pride. The example she set of faith, hard work, loyalty, and love of family has inspired them in their lives. She leaves to cherish her memory two daughters, Kathryn Hewko of Canfield and Debora (Michael) Jenoff of Austintown; three grandsons, Nicholas Hewko, Brian Hewko (fiancee Erin VanSlyke) and Michael (Jennifer) Jenoff; great-grandsons, Nicholas, Alexander, and Anthony Hewko, and Tristan Michael Jenoff; a brother-in-law, Al Pascale; and her nieces, nephews, extended family, and many friends who will hold her memory in their hearts forever. Jean was preceded in death by her husband, Nicholas; a son-in-law, Basil Joseph Hewko; and a granddaughter, Kristen Hewko. Her siblings, Joseph Galluppi and his wife, Gemma, Laura Pascale, and Lillian DiBenedetto and her husband, Anthony, have also preceded her in death. Family and friends may call from 9 to 11 a.m., Monday, April 1, at Kinnick Funeral Home, 477 N. Meridian Rd., Youngstown. Funeral services will take place at 11:30 a.m. Monday at St. Anne Ukrainian Catholic Church, on the northeast corner of Kirk and Raccoon Roads in Austintown. Committal services will follow at Calvary Cemetery in Youngstown, where Jean will be laid to rest next to her husband. Jean’s family extends special thanks to Dr. Spratt, Dr. Francisco, Dr. Reiter, and to the entire staff of Hampton Woods and Crossroads Hospice, for the compassionate care and kindness shown to Jean and her family. May her memory be eternal! Vichnaya Pamyat!